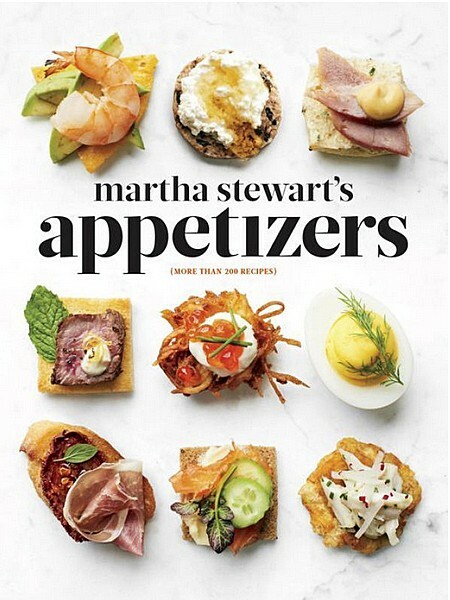 Today I’ll be reviewing the new book, Martha Stewart’s Appetizers. My hopes were high with this one. I always buy a cookbook with the intentions of finding new ways to make some of my old favorite pre-vegan meals. With this in mind, there are a few standout recipes that, with a little tweaking, were fairly easy to adapt to a vegetarian or vegan diet! The book itself is (as always) beautifully produced. It is divided into 5 categories: Snacks, Starters, Small Plates, Stylish Plates and Sips. The recipes are well laid out and easy to follow. What I love about Martha’s recipes is that they are pretty much foolproof. They are recipes for the every day cook. When reviewing a new cookbook, I always like to choose one recipe to include in the post. 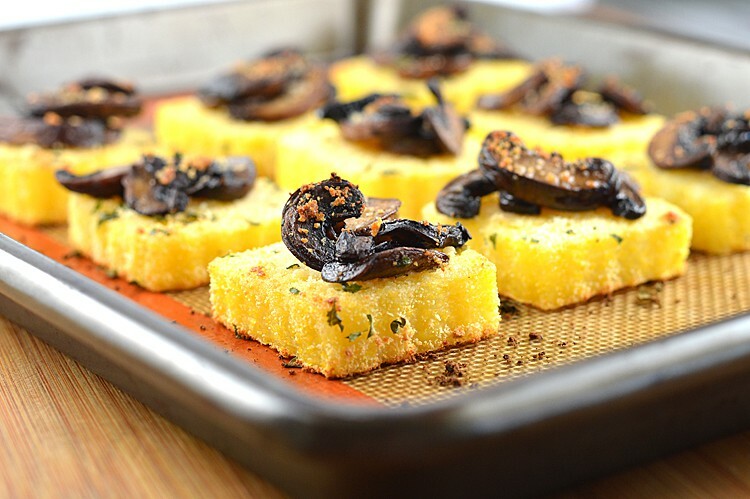 I chose to attempt the Roasted Polenta Squares with Wild Mushrooms. The only substitution I made was vegan parmesan for the fontina. In the absence of ooey, gooey, meltable cheese, I might have made a little white sauce. Next time. The recipe was simple to follow. The cooked polenta is spread evenly onto a sheet pan and allowed to cool completely. Once cool, I used a square fluted cookie cutter to get these cute little bites. I chose to dip the squares into a mixture of vegan parm and parsley. Meanwhile, I prepared the mushrooms and placed those on top. Top with another sprinkle of vegan parm and bake at 450 degrees until the edges are crisp and golden brown. Serve warm. P.S. You’ll find this recipe on page 206 of the book. There are recipes as simple as seasoned potato chips, Edamame with Chile Salt and Roasted Spiced Chickpeas to beautiful Pureed Vegetable Dips.